En noviembre y diciembre de 1987 siempre salía la publicidad de estos muñequitos en la última página de la revista Meridianito. Me encantaba Pin y Pon!!! 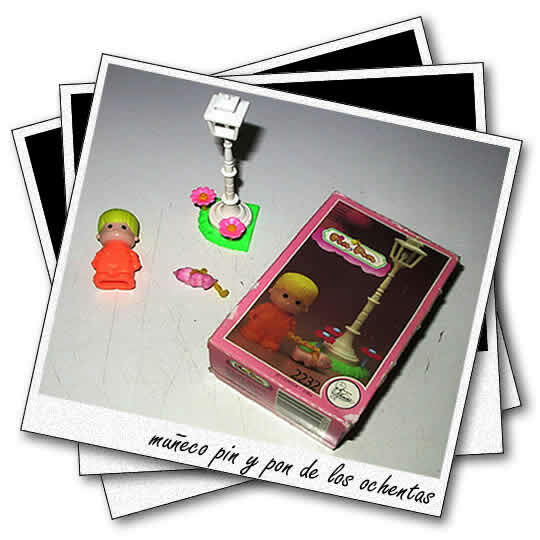 Wola a todos, yo tengo la granja de pin y pon, pero la original la de los 80s kon todos sus accesorios, las ovejas, las flores, los costalesm la veleta, gallinas, palomas, y obvio a pin y pon. Me la regalaron kuando era niña pero komo no me llamo la atencion la wuarde x años y hace komo 1 mes la sakee, aun en su kaja original(k x cierto esa si se deterioro despues de mas de 20 años) en fin mmmm kiza la venda a un no lo defino. Komo subo fotos.??? This site is awesome. We constantly come across something new & different the following. Thank you for which information. I dig online video games. FB games are entertaining a lot of the time. Sometimes they’re very lame. Helpful article, this is. It is actually good to see a article that is helpful. crafted a content. discover advice and written I have a presentation, and I am on the look out for. Hey, cool website. I came across this on Google, and I am happy that I did. I will definately be returning here more often. Wish I could add to the conversation and bring a bit more to the post, but am just taking in as much info as I can at the moment. That was a great post. You made some exceptional points and I am grateful for for your research! Keep it up!